The RP Photonics Buyer's Guide contains 34 suppliers for mode-locked lasers. RP Photonics has a very deep expertise on mode-locked lasers, e.g. concerning the design of mode-locked bulk or fiber lasers, a comparison of different types of mode-locked lasers, of different mode-locking techniques, etc. 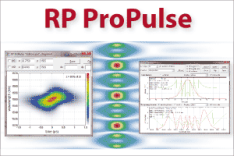 Also, RP Photonics offers powerful numerical software for designing and optimizing such lasers – in particular, RP Fiber Power and RP ProPulse. A mode-locked laser is a laser to which the technique of active or passive mode locking is applied, so that a periodic train of ultrashort pulses is emitted. See the articles on mode locking and mode locking devices for more details on mode-locking techniques; the present article focuses more on the lasers themselves. The article on ultrafast lasers also gives some idea about current developments in ultrashort pulse generation. As ultrashort pulses have a certain bandwidth, mode-locked lasers for short pulses (particularly in the sub-picosecond region) require a gain medium with a large gain bandwidth. Other desirable features are a not too high nonlinearity and chromatic dispersion, and (particularly for passive mode locking) high enough laser cross sections in order to avoid Q-switching instabilities. In the 1970s, dye lasers were routinely used, which were pumped with argon ion lasers. Laser dyes have a broad gain bandwidth, allowing for very short pulses. However, dye lasers have been largely replaced with solid-state lasers once these were able to deliver similar or better performance. 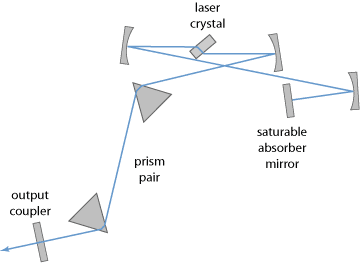 Solid-state bulk lasers, based on ion-doped crystals or glasses, are today the dominant type of mode-locked lasers. They allow for very short pulses, very high pulse energies and/or average output powers, high or low pulse repetition rates, and high pulse quality. Some record achievements are listed below. 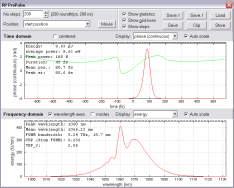 Fiber lasers can also be mode-locked for generating very short pulses with potentially cheap setups. 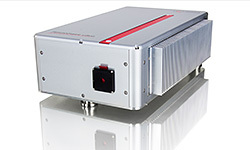 See the article on mode-locked fiber lasers for more details. High output powers are typically not achieved directly, but by using fiber amplifiers. The achieved pulse durations of ultrafast fiber lasers are often limited by nonlinearities or by higher-order dispersion, rather than by the gain bandwidth. Semiconductor lasers can be built as mode-locked diode lasers, mostly for applications in optical fiber communications. More recently, optically pumped passively mode-locked VECSELs have been demonstrated which can rival other solid-state lasers, particularly if a combination of relatively high output power, a multi-gigahertz pulse repetition rate, and possibly a short pulse duration (a few picoseconds or less) is required. Due to the very different properties of those gain media, it is vital to select an appropriate medium for operation of a mode-locked laser in a particular parameter regime, e.g. concerning pulse duration, center wavelength and pulse repetition rate. Figure 1: Resonator setup of a typical femtosecond mode-locked solid-state bulk laser with low or medium output power. The gain medium can be made of a crystal or of glass. A prism pair is used for dispersion compensation, and passive mode locking is achieved with a SESAM. The design of a mode-locked laser is generally a non-trivial task, and particularly so if extreme parameter regions for the pulse parameters are targeted. There is a complicated interplay of many effects, including dispersion and several nonlinear effects, and changing one design parameter often influences several others. (For example, in a soliton mode-locked laser a change in mode size in the laser crystal or of the cavity length changes the balance of nonlinearity and dispersion, and thus also the pulse duration.) As a result, it can be difficult to achieve simultaneously very short pulses, stable operation, and a high power efficiency. For given parameters of the gain medium, there can be certain restrictions on the achievable pulse parameters. A relatively trivial one is that a gain medium with a small gain bandwidth is not suitable for generating very short pulses. Certainly more surprising is e.g. the finding that mode-locked solid-state lasers have difficulties in combining a high pulse repetition rate with a high average output power, and that the additional requirement of generating sub-picosecond pulses makes this trade-off even much more demanding. Such constraints arise from a combination of effects and issues such as Q-switched mode locking and other kinds of instabilities, details of pulse shaping, and limitations of saturable absorbers, and are also influenced by seemingly totally unrelated issues such as the beam quality of the available pump source. For such reasons, a very systematic process of laser development, based on a solid quantitative understanding of all the relevant physical details and on deep experience with typical limitations, is essential for efficient product development. A key point is to work out a detailed laser design and to check quantitatively a number of issues before engaging in experimental investigations. Without such preparations, there is a risk of getting into a combination of problems which can not simply be solved step by step. The very shortest pulses with durations below 10 fs (few-cycle pulses) are usually achieved with Kerr lens mode locking of a Ti:sapphire laser [6, 5]. High average output powers of well over 200 W in sub-picosecond pulses [24, 25] and pulse energies above 10 μJ have been obtained in pulses from passively mode-locked thin-disk lasers [20, 19, 21], even 80 μJ in picosecond pulses . Very high pulse repetition rates have been obtained with passively mode-locked miniature bulk lasers [10, 15, 22] and also with harmonically mode-locked fiber lasers. Even higher values of > 1 THz are possible with small laser diodes . Various kinds of lasers (normally with high pulse repetition rates) have reached quantum-limited timing jitter performance, thus outperforming many high-quality electronic oscillators. Figure 2: Miniature Er:Yb:glass laser setup for a pulse repetition rate of 50 GHz . The cavity length is only 3 mm (from the output coupler to the SESAM). A modified setup allowed for even 100 GHz . As explained in detail in the article on cavity dumping, a mode-locked laser can generate higher pulse energies of e.g. several microjoules at lower pulse repetition rates (e.g. 100 kHz or 1 MHz) by incorporation of a cavity dumper in the laser resonator. The basic principle is to form a high-energy pulse within the resonator while having low resonator losses, and then to couple out of the energy with the cavity dumper. Short pulses allow for time-resolved measurements, e.g. electro-optic sampling measurements on integrated electronic circuits, or pump–probe measurements on semiconductor devices such as SESAMs. Various methods of imaging, laser microscopy and laser spectroscopy greatly profit from short pulses for various reasons. For example, the high peak powers of femtosecond lasers are useful in two-photon absorption fluorescence microscopes, reaching a very high spatial resolution in all three dimensions. In the field of optical metrology, mode-locked lasers can be used for distance measurements, but also in frequency metrology (time keeping) and other fields. In the context of frequency metrology, the frequency combs of mode-locked lasers play a particularly important role. A number of processes for nonlinear frequency conversion are greatly facilitated by the high peak powers of mode-locked lasers, even when the average power remains moderate. Other fields with a large potential are microwave, millimeter-wave and terahertz optics, and picosecond optoelectronics. The high pulse intensities are used for applications in material processing, such as micromachining, surface treatment, drilling holes, and three-dimensional laser prototyping. In the medical domain, mode-locked laser lasers may again be used for a kind of material processing, e.g. as a laser scalpel or in ophthalmology (e.g. vision correction). There are also photochemical effects used e.g. for certain skin treatments. High-power laser projection displays may be realized with mode-locked lasers and frequency conversion stages, the latter often being much simpler when working with ultrashort pulses. High intensity physics relies on amplified systems with very high pulse energies and peak powers, so that extremely high optical intensities are achieved when focusing that laser radiation down to small spots. Find more details in the articles on ultrafast lasers and ultrafast amplifiers. TOPTICA's FemtoFiber lasers provide reliable femto-/picosecond pulses based on polarization-maintaining fibers and SAM mode-locking. Different models (1560/780 nm, VIS/NIR tunable output, IR/NIR supercontinuum, short-pulse) cover a wide range of applications, e.g. time-domain terahertz, microscopy, attoscience and as seed lasers. NKT Photonics passively mode-locked lasers, for industrial and scientific use, exhibit a compact packaging and the lowest phase noise on the market. 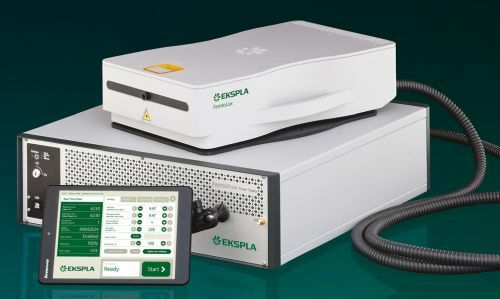 A special hybrid laser setup, consisting of state-of-the-art polarization maintaining (PM) fiber technology and advanced dispersion control, allows for high pulse energy generation while supporting perfectly transform-limited soliton pulses without Kelly sidebands, temporal pedestals or satellite pulses. NKT Photonics lasers have been designed for high precision applications requiring long-term amplitude stability, low phase noise and timing jitter and 24/7 maintenance-free operation. Menhir Photonics offers ultrafast mode-locked lasers at 1.5 μm wavelength. 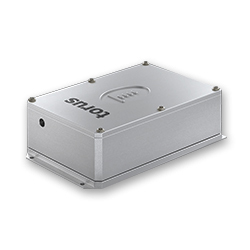 These lasers offer pulse width below 200 fs and fundamental pulse repetition rates that can be chosen from 250 MHz up to 2.5 GHz. These systems are hermetically sealed and all-in-one (laser and electronic is one box). 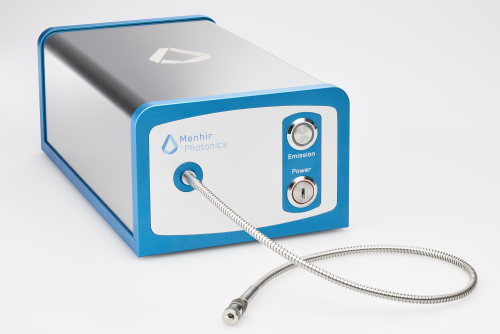 Menhir Photonics’ products have been designed to achieve ultra-low-noise performances combined with high-reliability and robustness, to ensure that they can be used in any situation from laboratory setup to harsh environments.